Anyone who has taken on a restoration project can attest to the fact that sourcing parts is often one of the more arduous tasks in the quest to get an old-school machine back on the road. And for builders working with low-volume exotics like classic Ferraris, this element of the process is made significantly more challenging due to the scarcity of components. See all of our Vintage Ferrari parts by Clicking HERE! 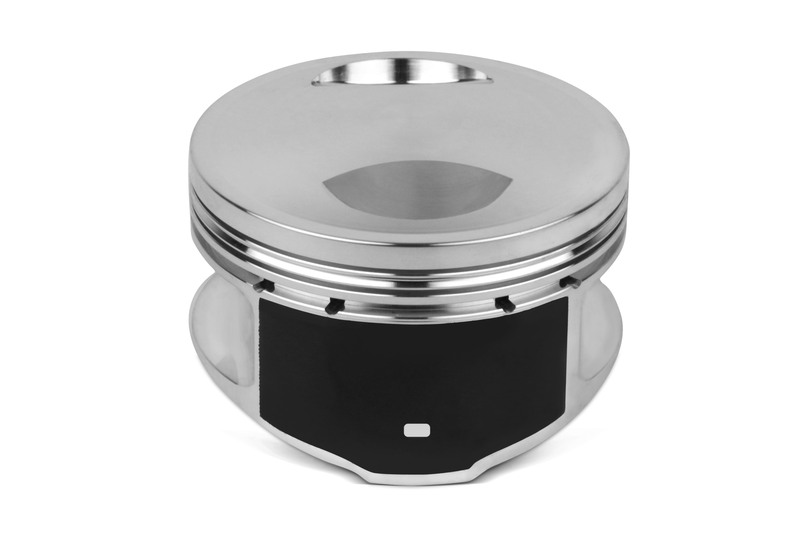 Noticing a trend in vintage Ferrari piston demand, Director of Product Management for JE Pistons, Nick DiBlasi created a full line of shelf stock-parts covering several models. “Manufacturers only need to maintain replacement parts for ten years, so when we’re talking about sports cars that are forty or fifty years old, most of this stuff is long gone,” explains Nickolaus DiBlasi, Director of Product Management for JE Pistons. “You can’t just ring up Modena and order a replacement piston for a Ferrari 330 GTS." 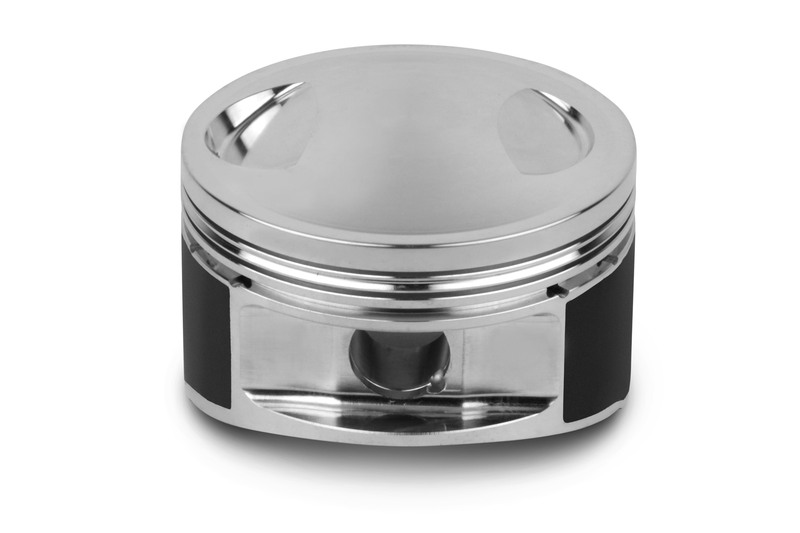 JE's line of Ferrari pistons incorporate modern features such as 2618 aluminum, accumulator grooves, and modern forging designs. 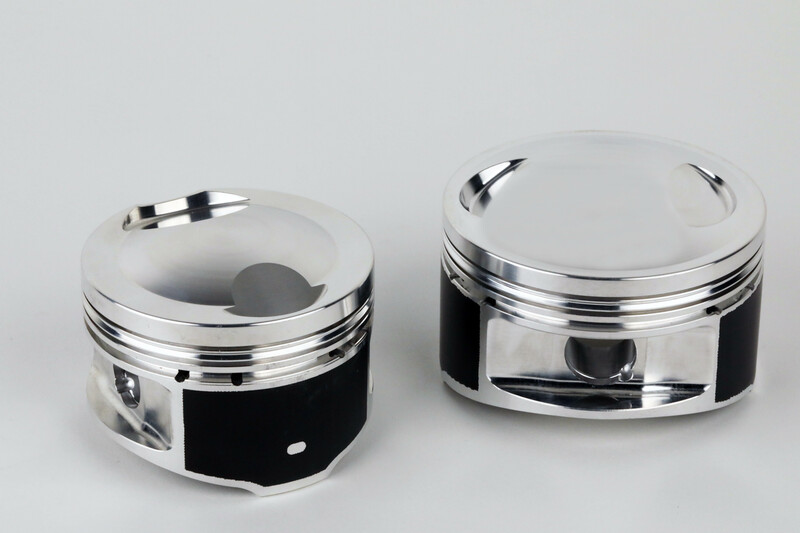 All Ferrari pistons will come standard with JE's Perfect Skirt coating which reduces friction, and piston slap for smooth, quiet operation. Along with the value of sheer availability, the pistons in JE’s vintage Ferrari line also benefit from decades of technological advancement while retaining all of the original charm that has made these classic Italians some of the most sought-after machines in the history of motoring. Pistons are available for 2-valve or 4-valve configurations where multiple cylinder head styles were offered. The enhanced durability coupled with the OE-like clearances provide clear benefits, but these pistons also boast other enhancements that might not be as obvious at first glance. Ferrari 246 2.4L 2V DOHC V6– Used in the Ferrari Dino 246 GT and GTS between 1969 and 1974, the 246 was a response to a demand for more power from Ferrari’s customers, and that’s exactly what they got with the new, 2.4-liter mill. The Dino's 2.4-liter V6 was also used in a number of other Italian performance cars subsequent to its debut in the 246, including Lancia’s iconic Stratos rally car. Ferrari 250 3.0L 2V SOHC V12– The 250 series comprises a collection of sports and racing cars produced by Ferrari between 1953 and 1964, all of which share the common trait of a 3.0-liter, Gioacchino Colombo-designed V12 under the hood. Homologation cars like the 250 GTO have since become some of the most valuable sports cars in history, due not only to their timeless shape, but their distinctive V12 growl as well. Ferrari 308 2.9L 2V DOHC V8– Debuting under the hood of the Dino 308 GT4 in 1973, Ferrari’s new eight cylinder power plant would supplant the Dino V6 and see use not only in the 308 GTB and GTS, but the fuel-injected GTBi and GTSi variants as well, along with the Mondial 8. Ferrari 308 Quattrovalvole 2.9L 4V DOHC V8– Debuting in 1982, the Quattrovalvole iteration of Ferrari’s V8 provided motivation for not only the 308 GTB QV, GTS QV, and Mondial QV, but Lancia’s Thema 8.32 and LC2 as well, with the latter utilizing a cross-plane crankshaft rather than the flat-plane unit that Ferrari used. Ferrari 330 Colombo 4.0L 2V SOHC V12– As the name suggests, this power plant was also the brainchild of Italian engineer Gioacchino Colombo. While Ferrari’s four-liter V12 originally debuted in the 1960 Superamerica, its use in the 330 series in 1963 and beyond brought a few notable changes, including a wider bore spacing to make room for displacement increases down the road.